The Art of Kiltmaking is designed to teach you how to make a properly made traditional kilt. With these well-illustrated, step-by-step instructions, anyone can be confident of making a kilt that will look beautiful, fit perfectly, and last a lifetime - all at a fraction of the cost of a custom-made kilt. All you need is tartan, the book, and some patience and attention to detail. 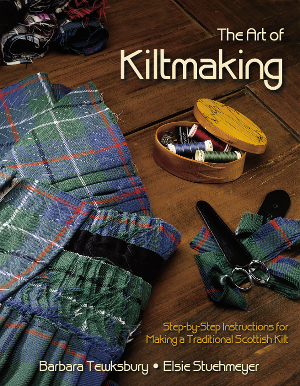 "Of all the books that I have read, The Art of Kiltmaking is one of the best. You have filled it with incredible detail, easy-to-follow instructions, and enough wit to keep people reading. As a University professor who has read many a book, I give yours an A+."